Bollywood actors Amitabh Bachchan and Aishwarya Rai Bachchan submitted documents of their financial dealings with the Enforcement Directorate (ED) in connection with the ongoing Panama Papers probe. The Bachchans submitted their documents through their representatives. Earlier, they were summoned by the ED and asked them to submit the documents. The Income tax department has launched 33 prosecutions linked to the names revealed in the Panama Papers and is probing others. Previously, the ED received replies from Bachchan and his family members to notices issued to them in connection with its probe in the Panama Papers case. Along with them, Aishwarya Rai Bachchan and Ajay Devgn would also receive summons from the ED under Section 37 of the Foreign Exchange Management Act (FEMA), reports stated. "In a phase-wise manner, concerned individuals and entities are being summoned and statements have been recorded. In the next phase, another set of names would be summoned. It could include film stars as well, whose names and addresses were found to be part of the leaked data of 2,10,000 offshore companies incorporated by Panamanian law firm Mossack Fonseca," said a source speaking to India Today. The ED had said that it is better if the actors appear and face the investigations themselves, rather than sending representatives. The exact dates for the summons were not revealed. Officials in the anti-money laundering agency said they had issued notices to the Bachchan family some time ago asking them to explain their foreign remittances since 2004 under the Liberalised Remittance Scheme (LRS) of the RBI. They said the Enforcement Directorate had now received their replies to the notices issued under the Foreign Exchange Management Act (FEMA). "The replies have been received. They could be soon summoned as part of the probe," sources said. Amitabh Bachchan's name had cropped in the Panama Papers case which is also being probed by the Income Tax Department. The taxman is probing Bollywood megastar's offshore remittances. 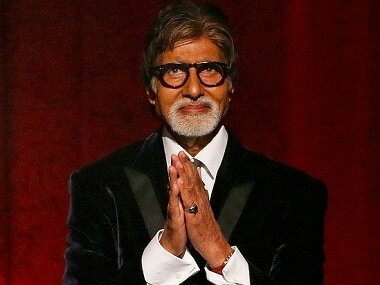 In the past Bachchan has denied involvement in the case. The Panama Papers had alleged that he was the chairman of at least four offshore shipping companies which were registered in November 1993 in tax havens. One was in the British Virgin Islands and three were in the Bahamas. He said that he did not know of Sea Bulk Shipping Company Ltd, Lady Shipping Ltd, Treasure Shipping Ltd, and Tramp Shipping Ltd — the companies in question — and that he was not the chairman of either of them. He claimed that his name was being misused and that he had paid all his taxes, including on the money spent by him overseas. He added that the money he had remitted overseas had been in compliance with the law. Aishwarya Rai Bachchan, then unmarried, and her family members were said to be part of a company incorporated in the British Virgin Islands, as per the leaked documents. Ajay Devgn allegedly bought 1,000 shares of Marylebone Entertainment Ltd, a British Virgin Islands company incorporated in 2013. These shares were bought in the name of Nysa Yug Entertainment, which he co-owns with his wife Kajol. 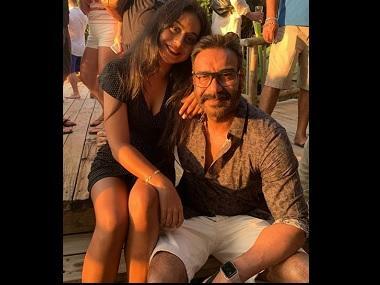 Devgn admitted to owning the account but claimed to have made proper disclosures while filing tax returns. Dubbed as Panama Papers , an investigation of a stockpile of records from Panamanian legal firm Mossack Fonseca by the International Consortium of Investigative Journalist had named several world leaders and celebrities who had allegedly stashed away money abroad in offshore companies. The documents had surfaced last year.